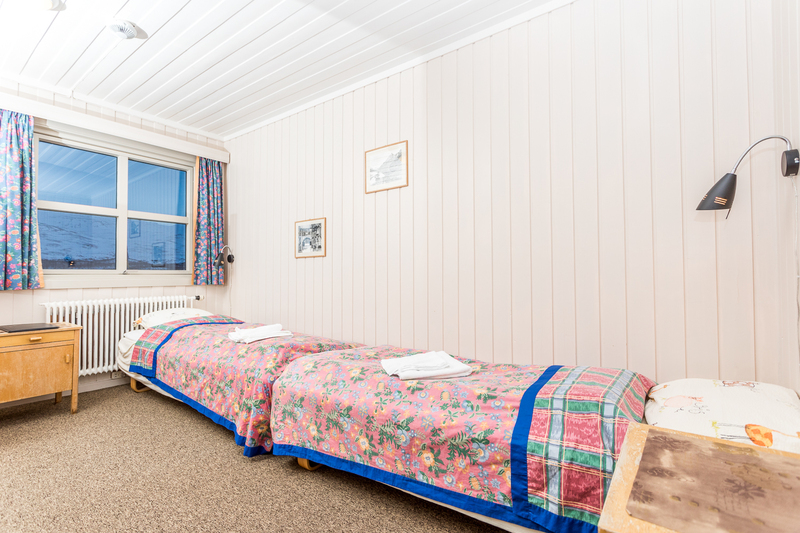 At Bessheim we have 64 beds, distributed in 27 rooms inside the lodge. 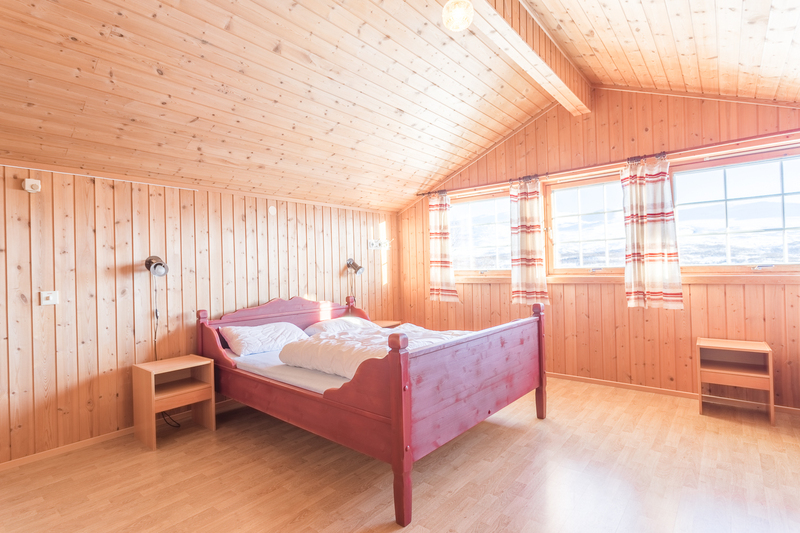 Made beds and towels can be found inside all rooms. 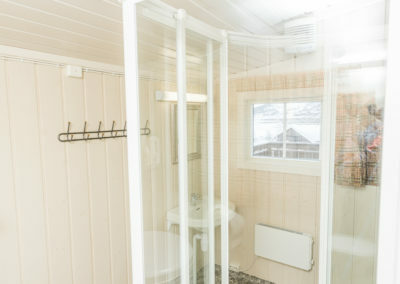 Shower and bathroom can be found in all rooms except 5. 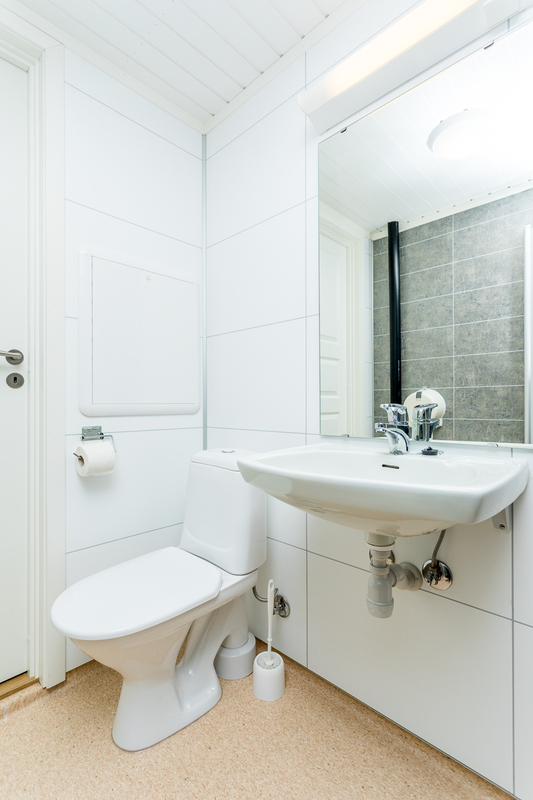 In the rooms without these, a sink can be found in the corridor and showers are available in the basement. 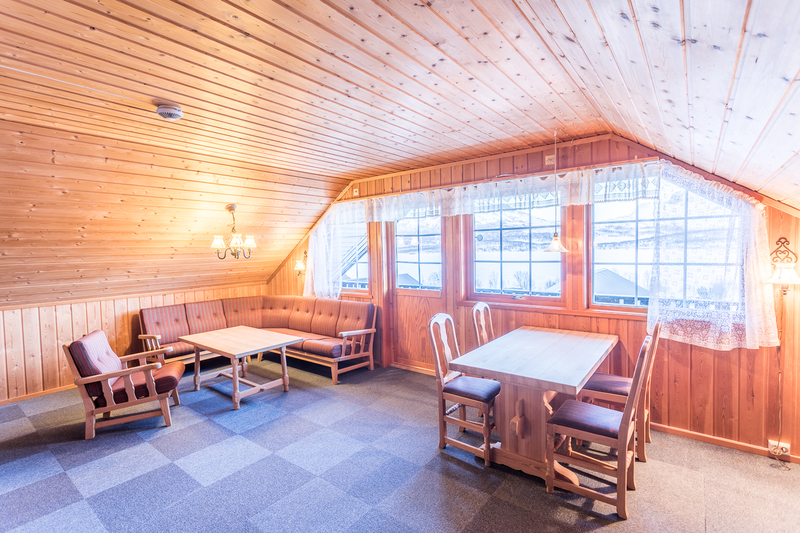 Rooms with breakfast cost NOK 650,- per person per night in double-, triple-, and four bed per room. 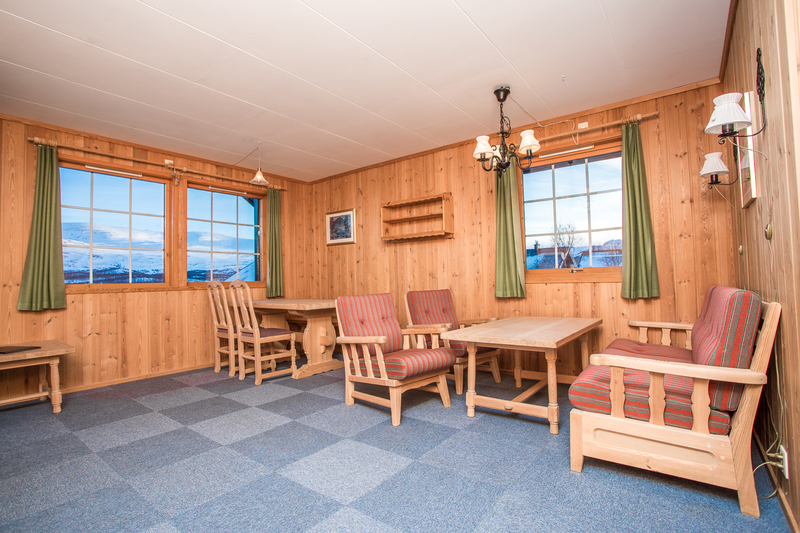 This price is NOK 800,- per person per night in the last two weekends in August, and entire September. 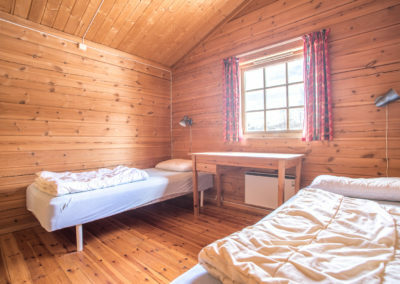 We also offer the “Halvpensjon” package(room, three-course meal, breakfast and packed lunch) for NOK 1050,- per person per night in double-, triple-, and four bed per room. 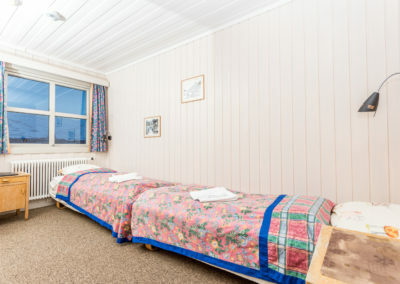 The prices is per person per night in double-bed rooms with shower and bathroom. 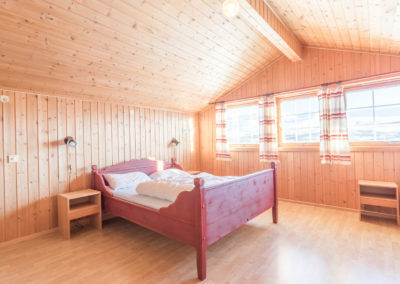 One-bed room costs extra based on the current season. 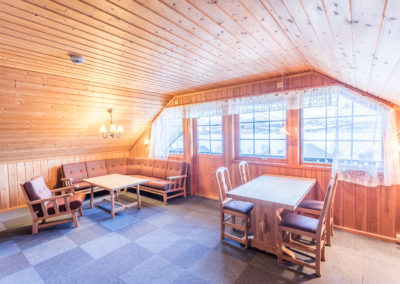 “Halvpensjon” is breakfast, made lunch, and three-course meal. Children age 3-12 pay half. Children 0-3 goes for free. 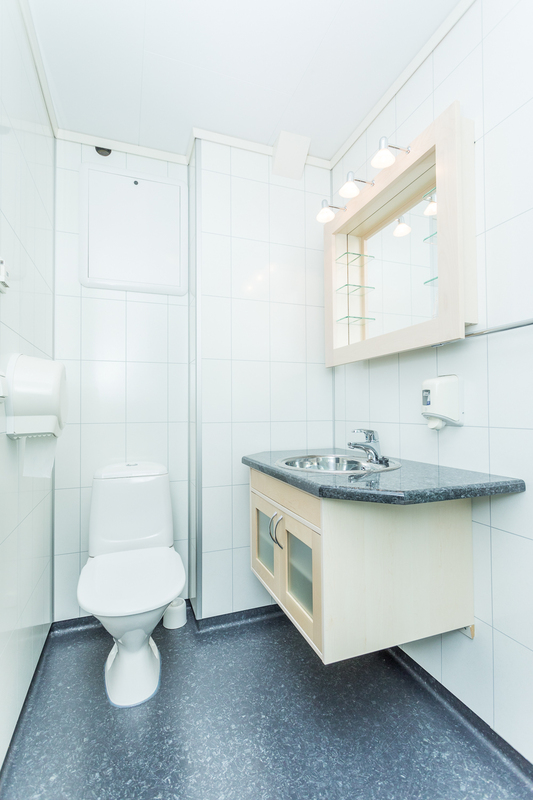 The rooms without bathroom cost 50,- less per person per night. 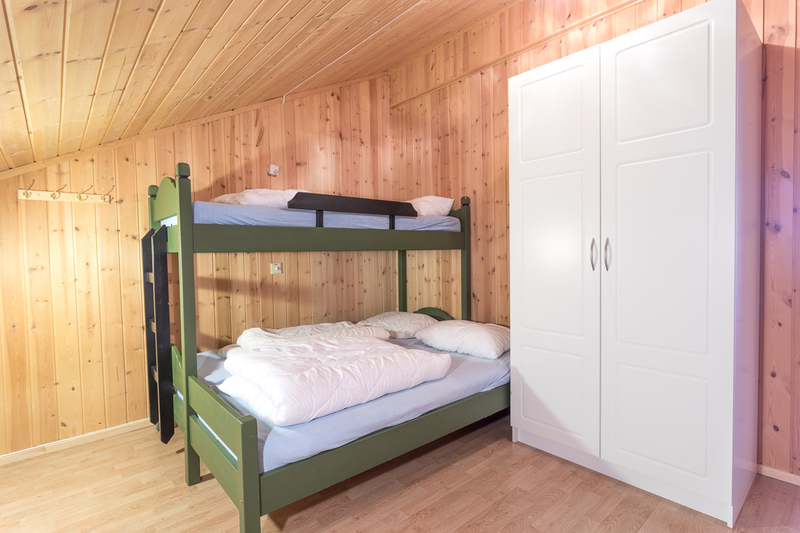 At Bessheim we do have 27 cabins and apartments, with room for 2-10 guests in each. 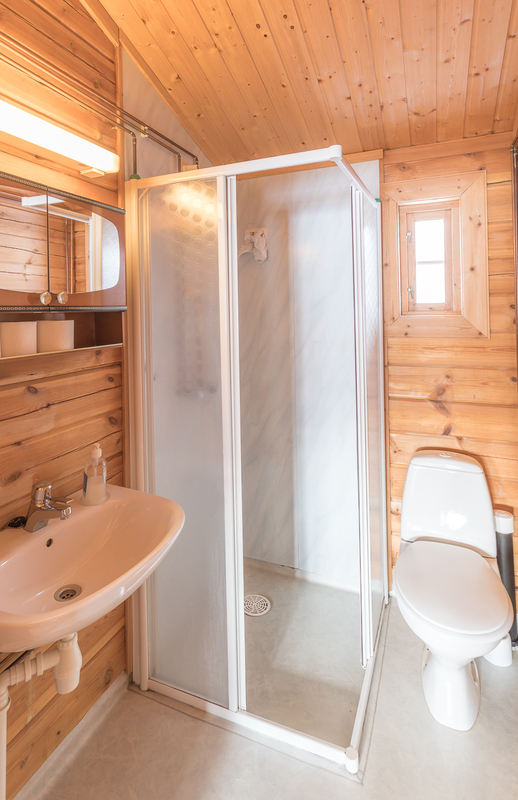 Most cabins and apartments have showers and bathrooms, and comes with a fully equipped kitchen. Extra fees apply for meals, final cleaning, and for bed cloth. 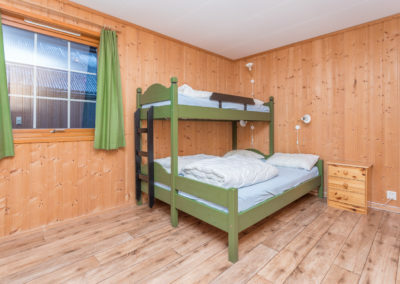 You will find duvets and pillows in all cabins(except for number 3, 4 and 5), but the beds are not made, and towels are not included in the price. 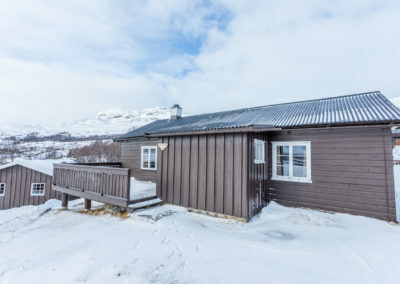 The price is in NOK and it is per cabin per night, not per person. 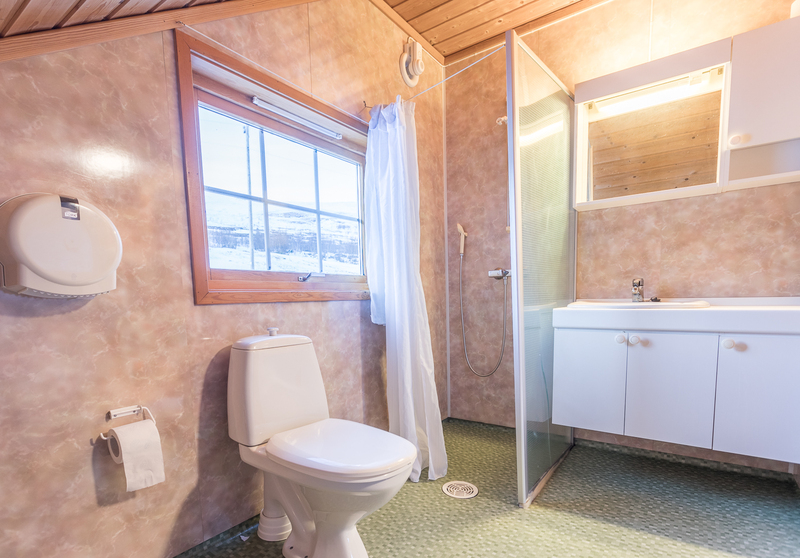 Final cleaning of the cabins is extra, should you not want to clean yourself. 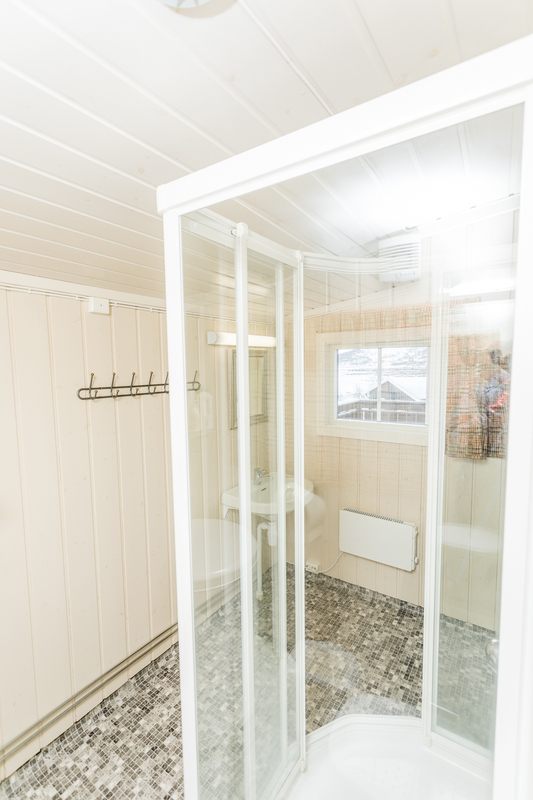 At cabin 3,4,5 and 17, final cleaning costs 200,-. 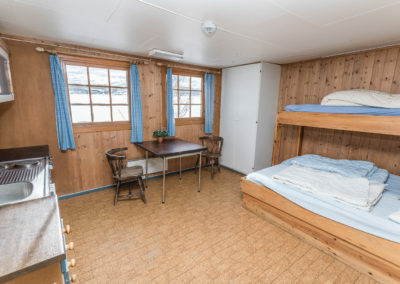 Final cleaning in cabin 7,8 and 12 costs 300, and all other cabins cost 500,-. 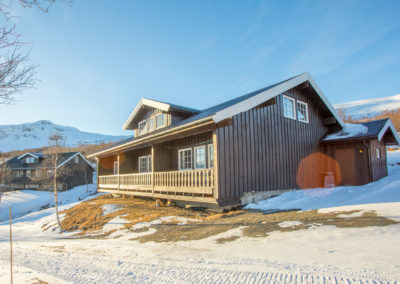 During easter, final cleanout costs 700,- for every cabin. 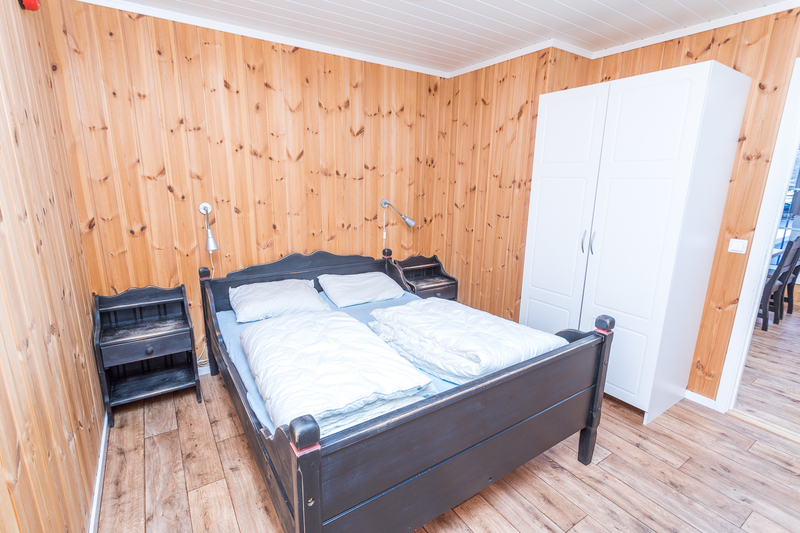 Renting bedsheet linen cost 100,- per set. Breakfast: 170,- Packed lunch: 80,- Filled thermos 30/40,- Three-course meal: 420,- All prices per person. Most cabins have a kitchen, and many choose to prepare their own meals during their stay at Bessheim. 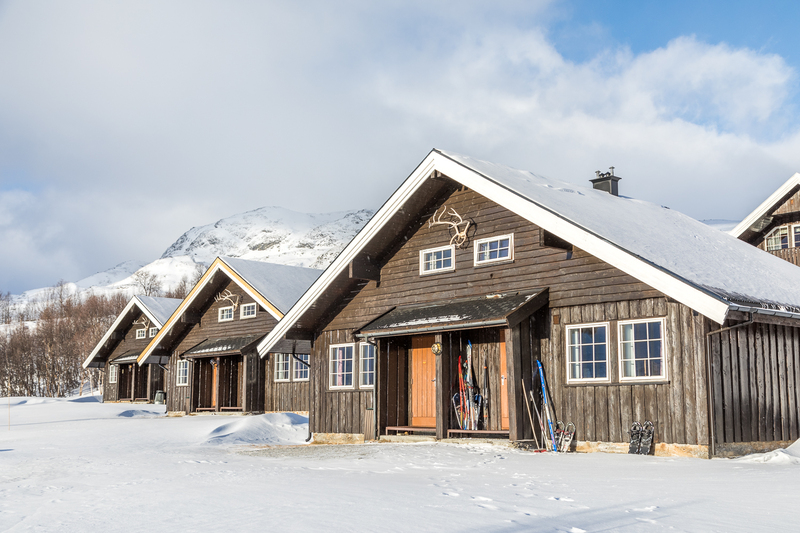 The closest foodstore during the vinter when the road Valdresflyvegen is closed, is found in Heidal. A 45km trip. When this road is open, the closest foodstore is at Beitostølen, a 35km trip. 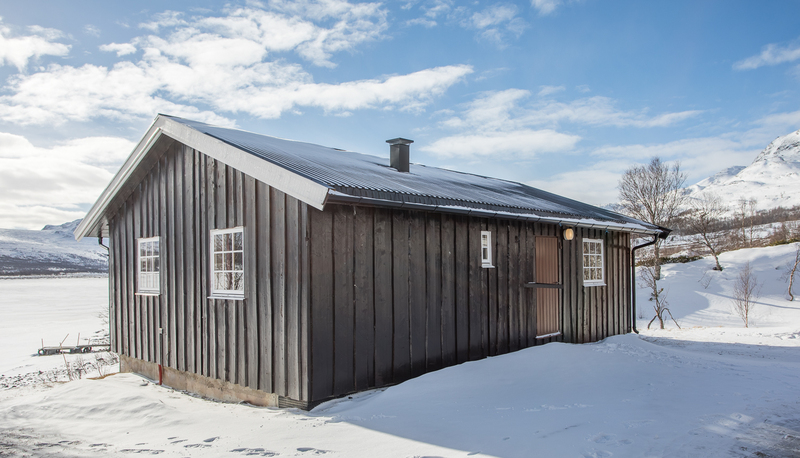 During summer a foodstore can be found at Besseggen Fjellpark, 3km south of Bessheim, or you can go Krambua 6km north of Bessheim. The town Vågå is 55 km away, and here you can find the beatiful church of Vågå, traditional creative stores, and cafees in a very pleasant village center. 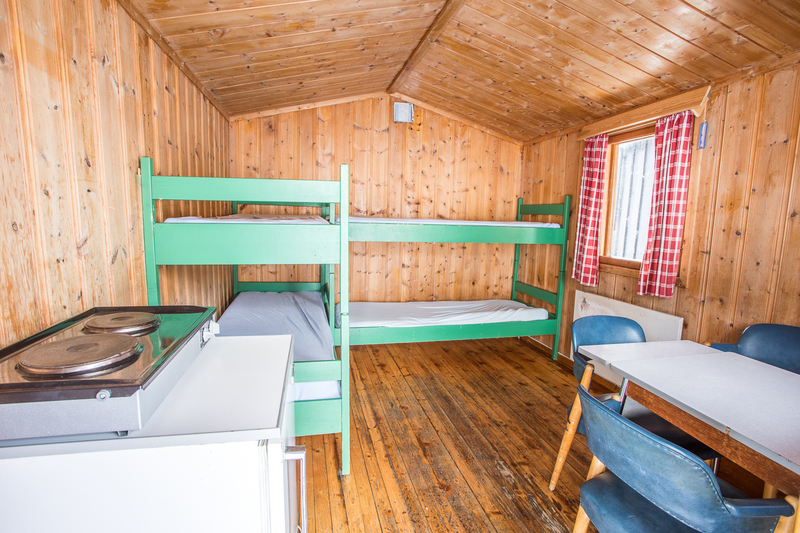 Cabin 3 + 5: Small camping-cabins from the 60’s. 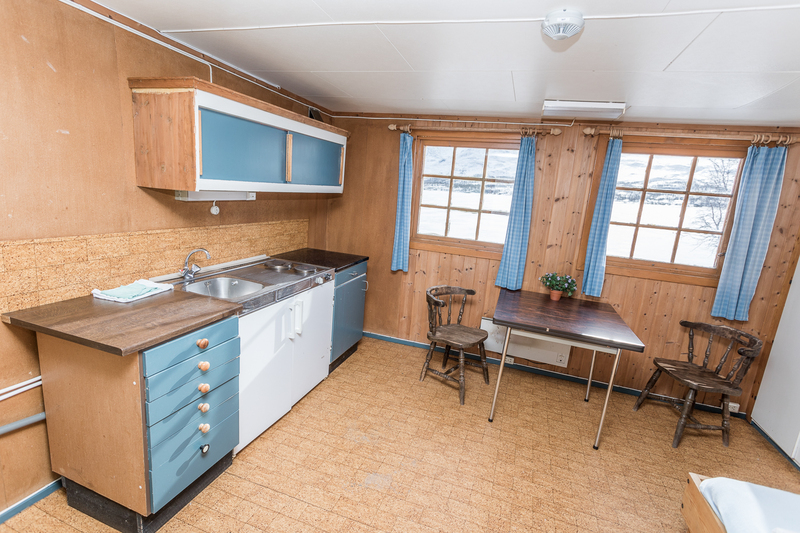 4 beds, kitchen table, refrigerator and a hotplate. About 12 square meters. You will not find kitchen equipment or inlay water in these. 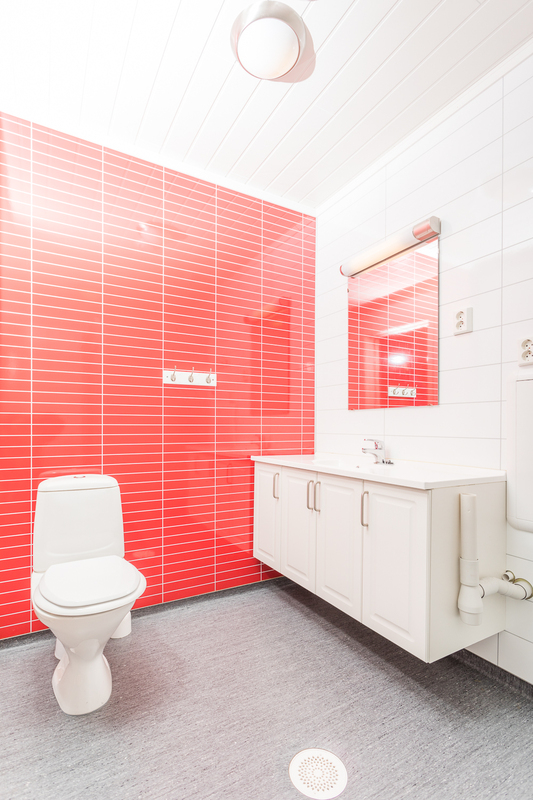 Shower and bathrooms can be found within the sanitary facility located nearby. 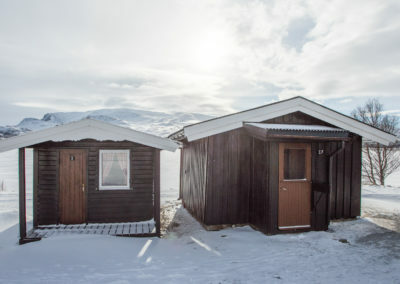 Old worn cabins, with low standard. 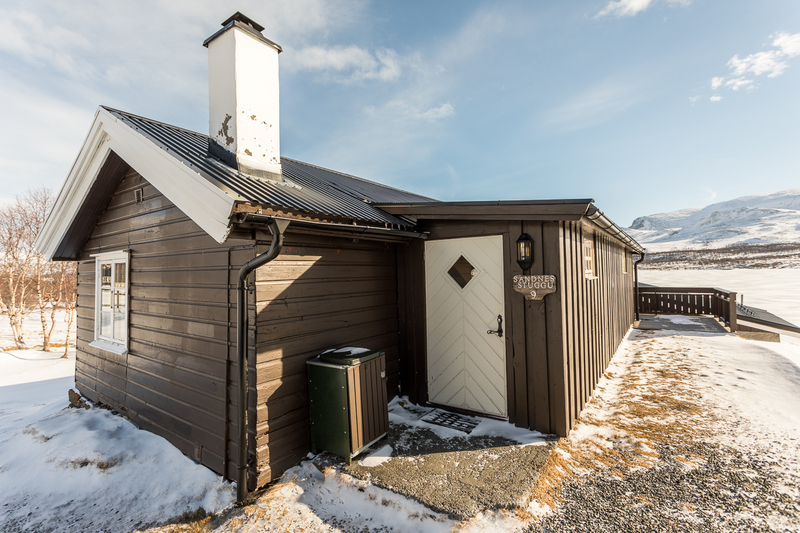 Price is 480,- per night. 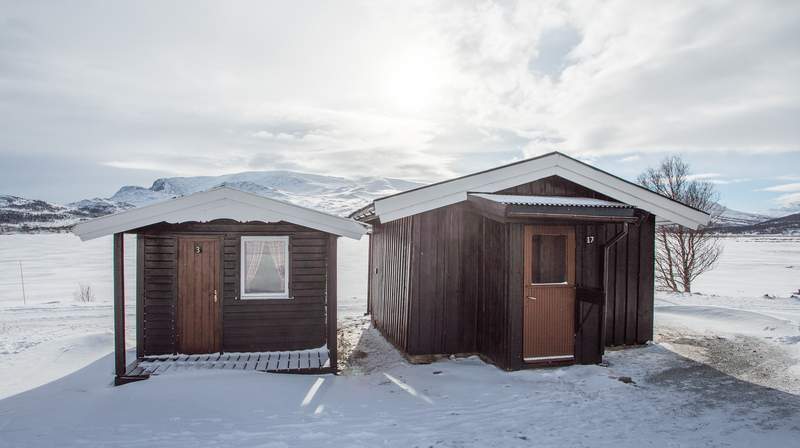 We do not rent out these cabins in the winter season. Cabin 4: Small cabin from the 60s. 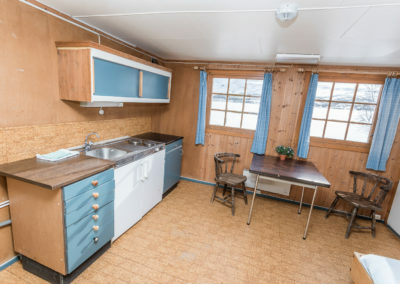 2 beds, refrigerator, kitchen table and hot plate. About 12 square meters. 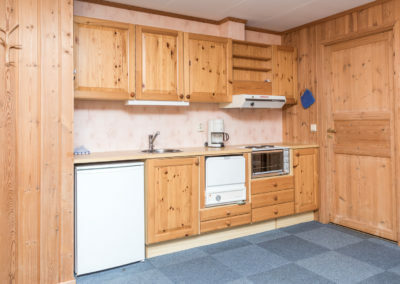 No kitchen equipment or inlay water. 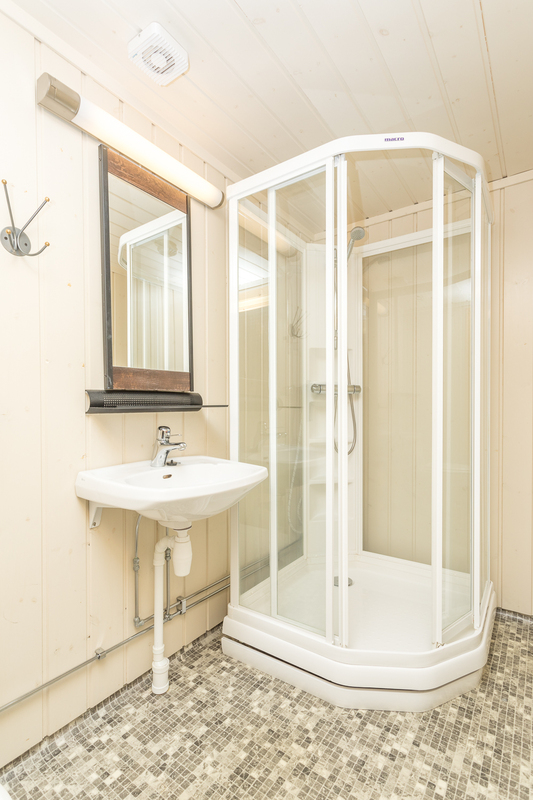 Shower and bathroom found within the sanitary facility nearby. 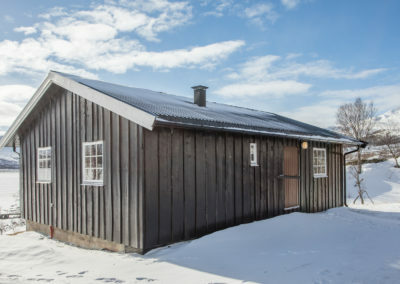 Old worn cabin, with low standard. 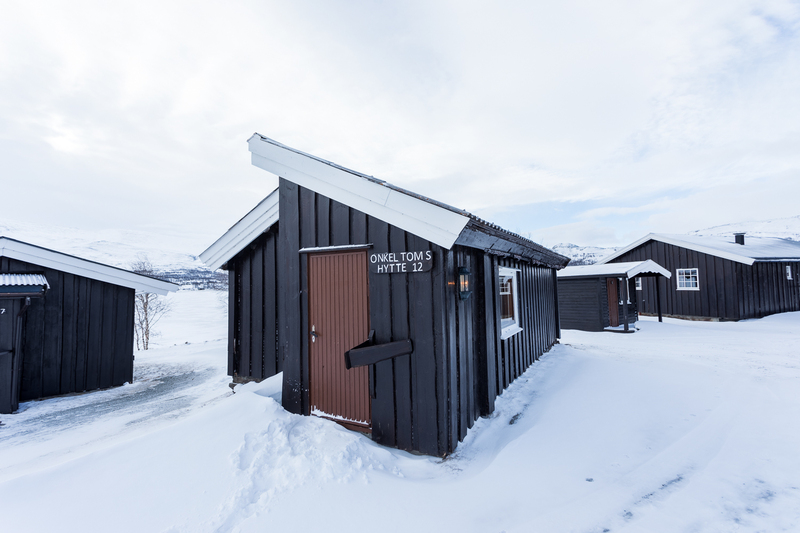 Price is 480,- per night. 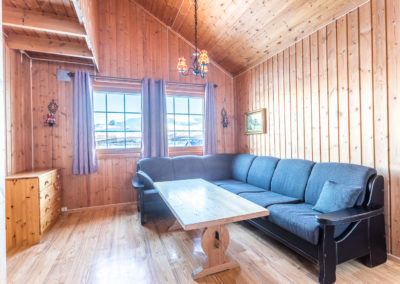 We do not rent out this cabin in the winter season. 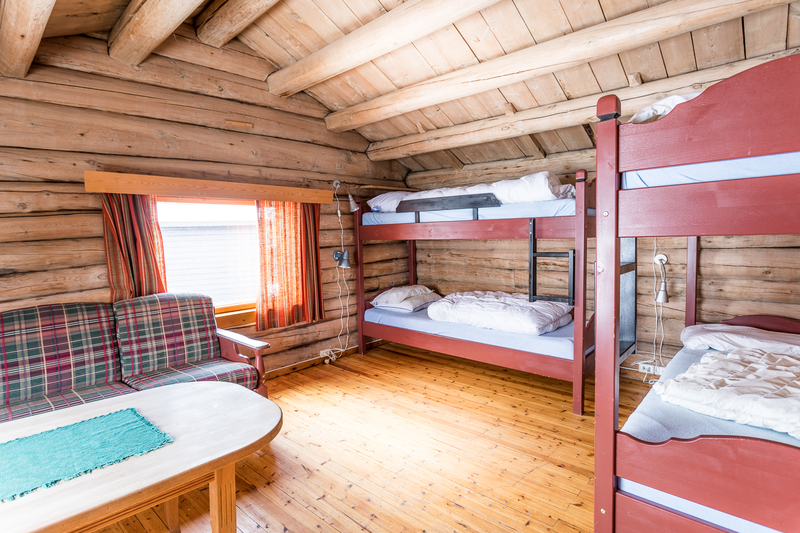 Cabin 12: Small woodcabin from the 1800s with 4 beds(2 bunkbeds). Simply equipped kitchen w/ kitchen sink and refrigerator. Inlay water. Everything with the same room. 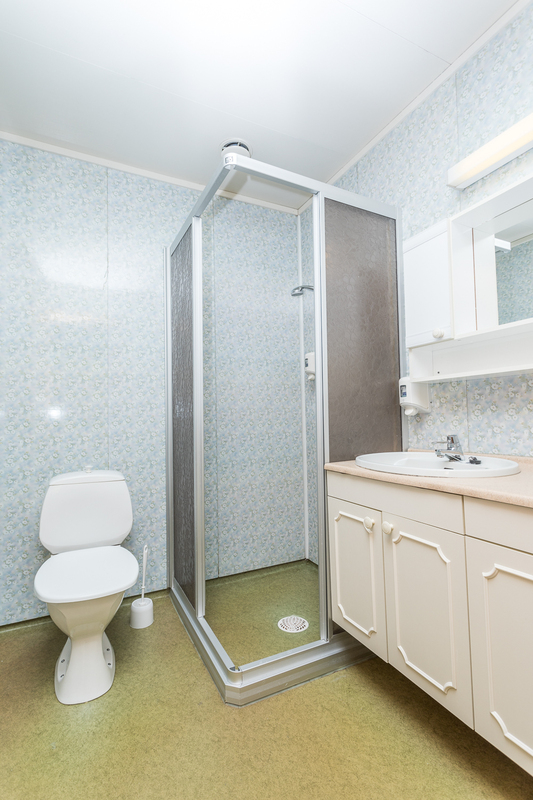 Shower and bathroom in the sanitary facility nearby. 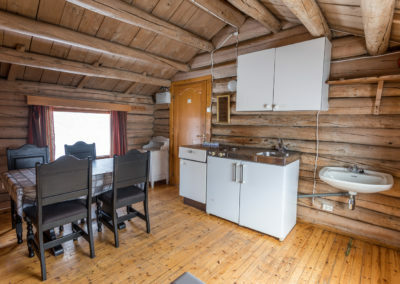 Old, worn cabin with low standard. Price is 650,- per night. 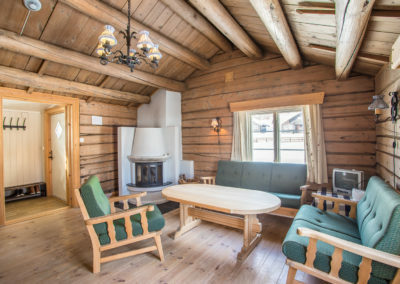 We do not rent out this cabin in the winter season. 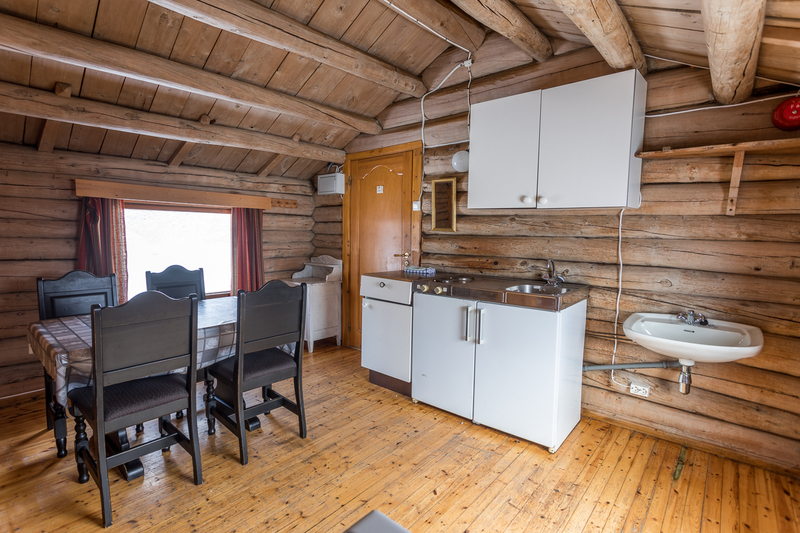 Cabin 17: Small woodcabin with three beds, simply equipped kitchen with kitchen sink and refrigerator. Inlay water. Everything in the same room. 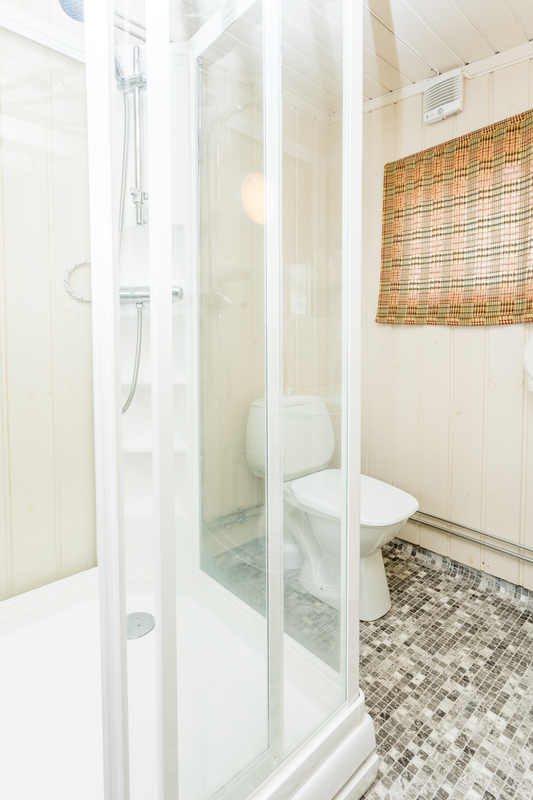 Shower and bathroom in the sanitary facility nearby. Price is 480,- per night. 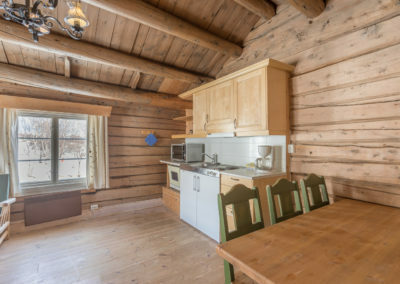 We do not rent out this cabin in the winter season. 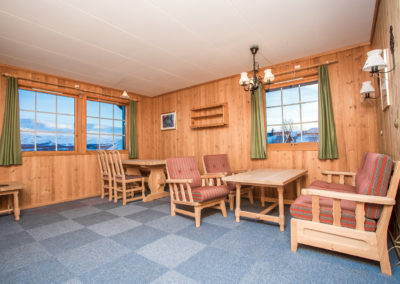 Cabin 6: Relatively large cabin from the olympic games at Lillehammer with 3 bedrooms, and 2 beds in each room. 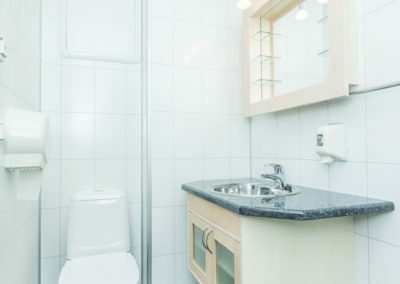 Small bathroom with shower/wc. Kitchen comes fully equipped with refrigerator, oven, hot plates, dishwasher, and a coffee maker. 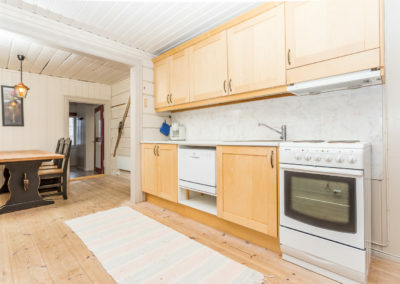 Comes with living room and a small porch. Price is 1470,- per night. 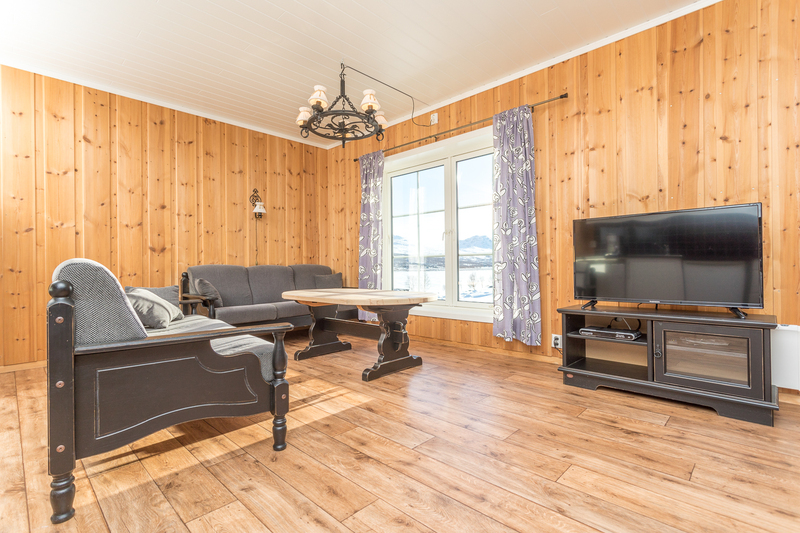 In the Eeaster, from April 17-22, the price is NOK 1570,- per night. 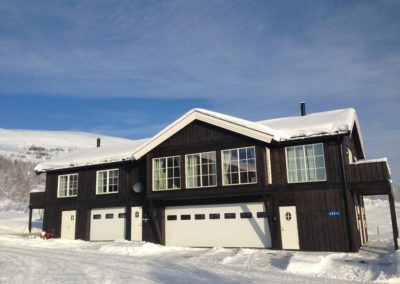 Cabin 7 and 8: Two apartmens in a house from the olympic games at Lillehammer. 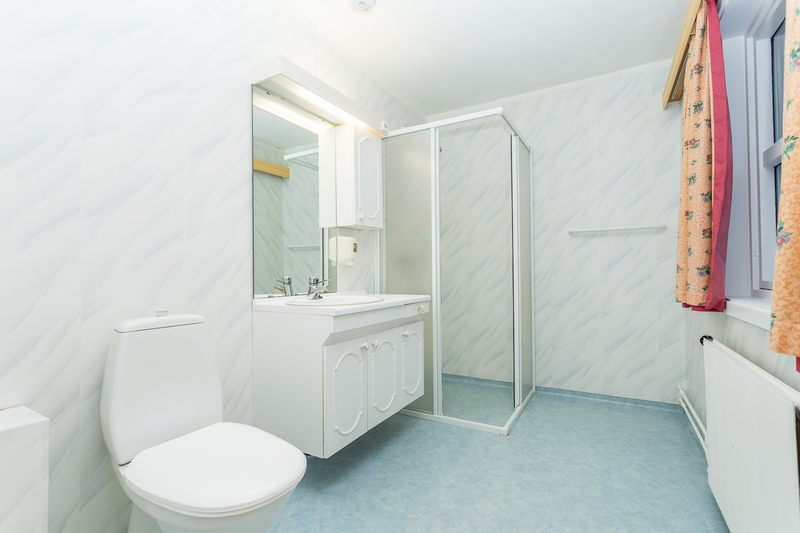 One bedroom with two beds, small bathroom with shower/wc, and fully equipped kitchen with refrigerator, oven and hot plates. Price is 850,- per night. In the Eeaster, from April 17-22, the price is the same. 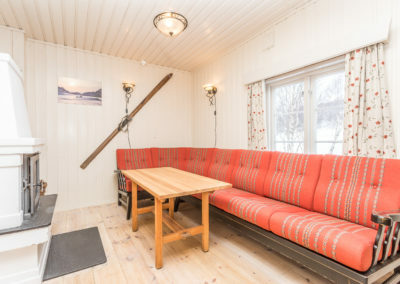 Cabin Sandnesstugu nr. 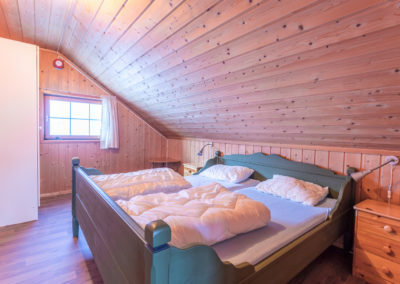 9: Old mountain farm from the 1800s with 7 beds. One bedroom with three beds(one bunkbed), and a bedroom with 4 beds(2 bunkbeds). Living room with fireplace. 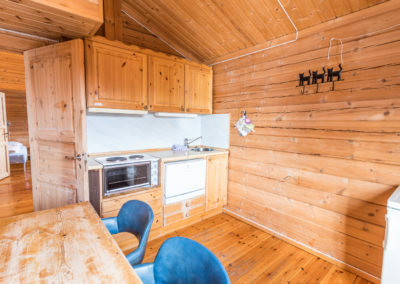 The kitchen can be found in the living room. 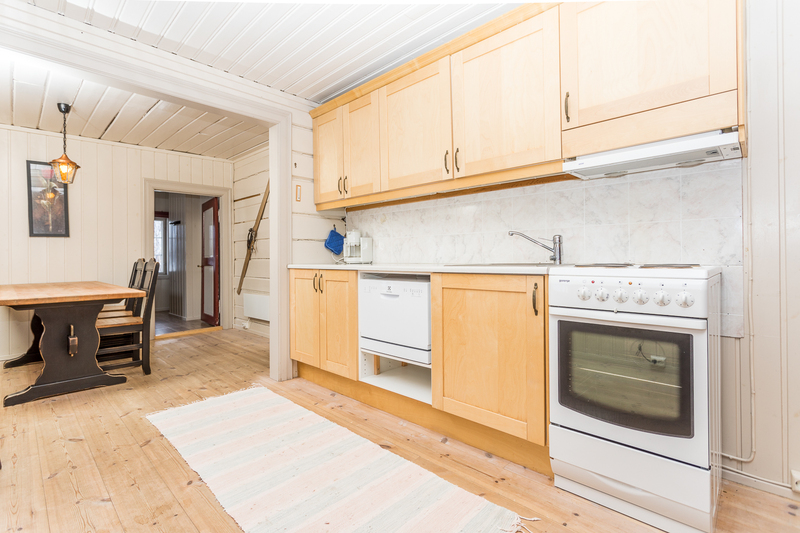 The kitche comes fully equipped with refrigerator, oven, hot plates, dishwasher and coffee maker. 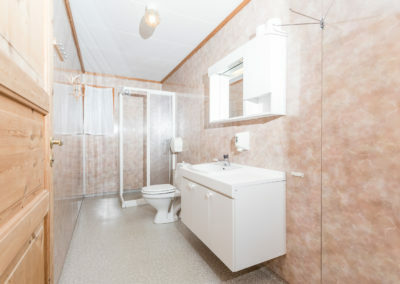 Bathroom with shower/wc. Porch. 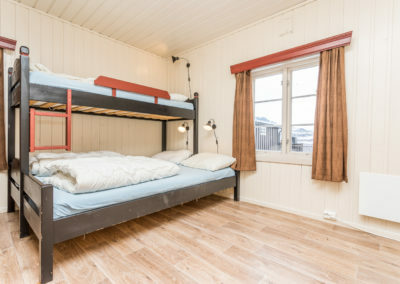 The price is 1550,- per night. 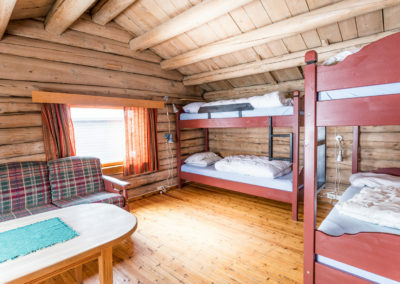 cabin. 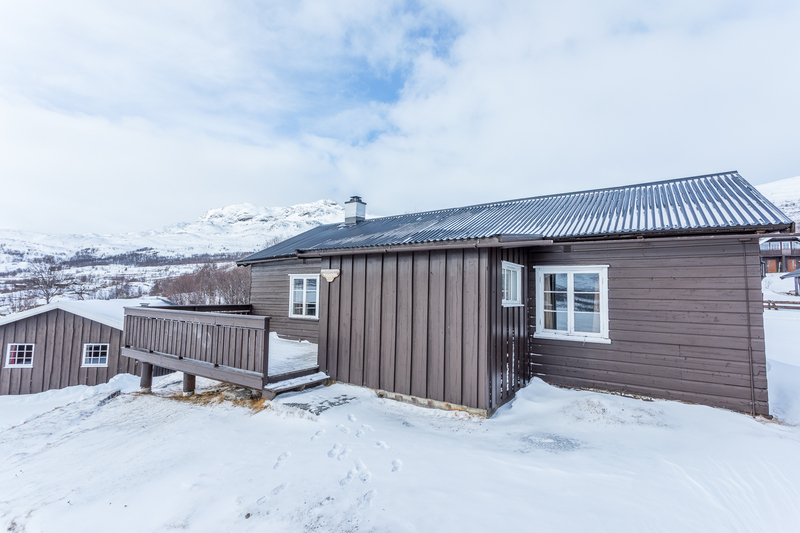 In the Eeaster, from April 17-22, the price is NOK 1650,- per night. 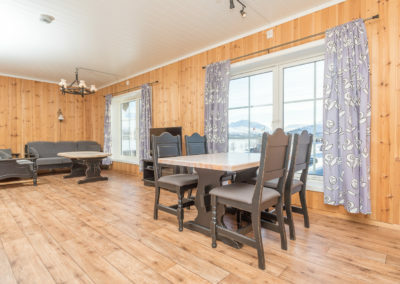 Kavalerstugu nr. 13: Old house from the 1800s with a total of 10 beds. 2 bedrooms, with 3 beds(family bunks), and 1 with 4 beds(2 bunkbeds). Living room with fireplace. Kitchen found within the living room. 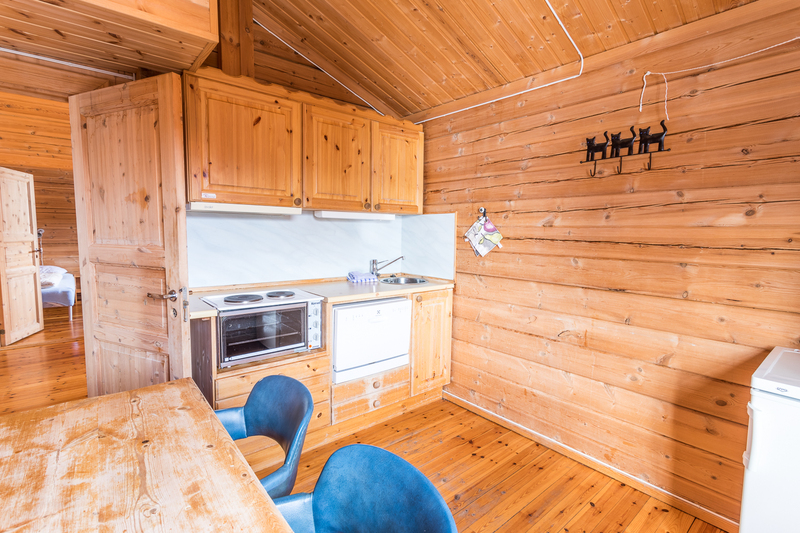 Kitchen comes fully equipped with refrigerator, oven, hot plates, dish washer and coffee maker. 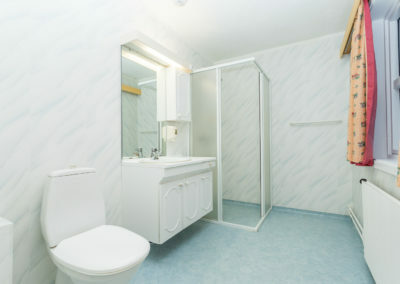 Bathroom with shower/wc. Price is 1720,- per night. 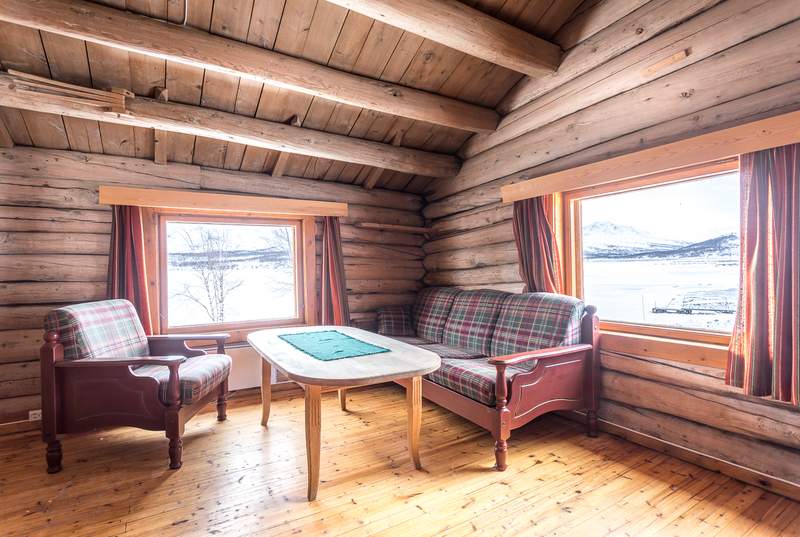 In the Eeaster, from April 17-22, the price is NOK 1880,- per night. Apartment 19, 20 and 21: Three apartments found within the house Bekkestugu. Total of 7 beds in each. 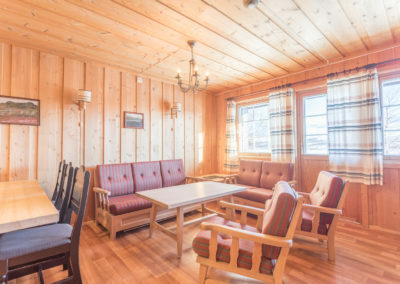 2+4 beds in 2 bedrooms at the 2. floor, together with 1 bed in the living room. 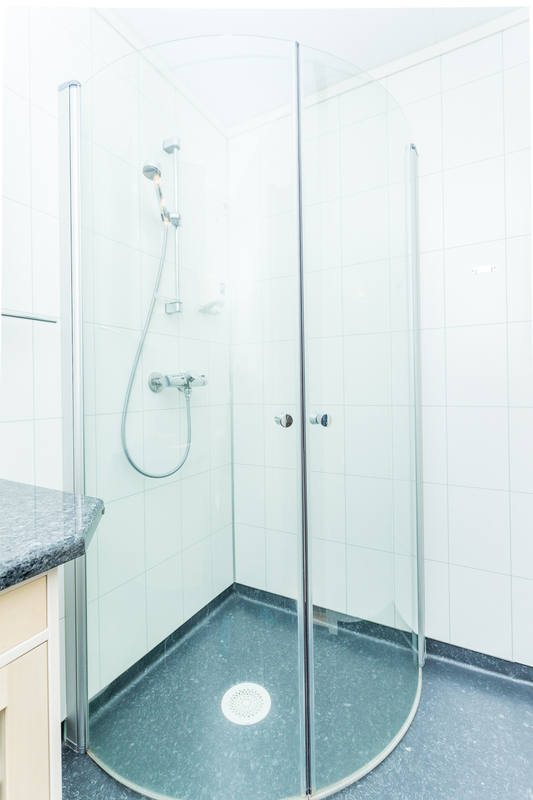 Shower/wc, and kitchen in the living room at the 1. floor. 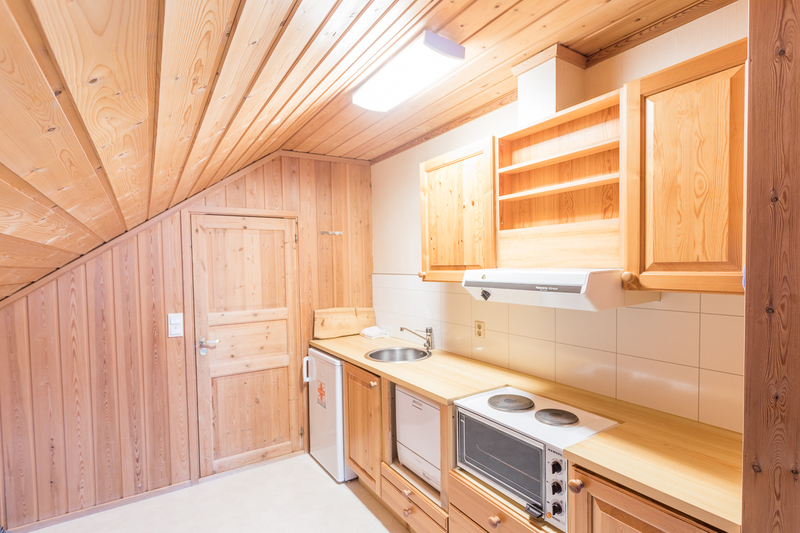 The kitchen comes fully equipped with refrigerator, oven, hot plates, dish washer and coffee maker. 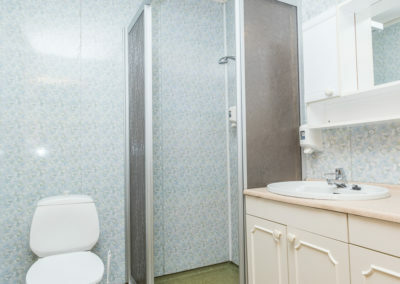 You will have to pass through one bedroom to reach the other. TV also found. Price is 1470,- per night. 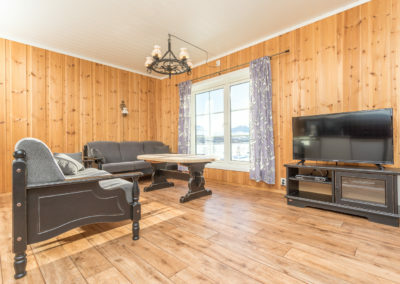 In the Eeaster, from April 17-22, the price is NOK 1570,- per night. 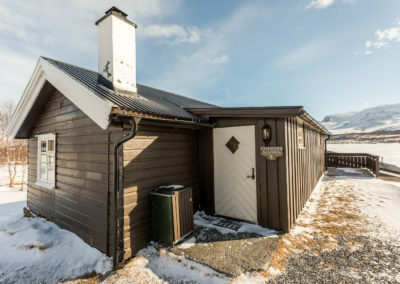 Cabin Bensinbua nr. 22: Apartment at the 1. floor in a house from 2009. Total of 4 beds. One bedroom with a double bed. 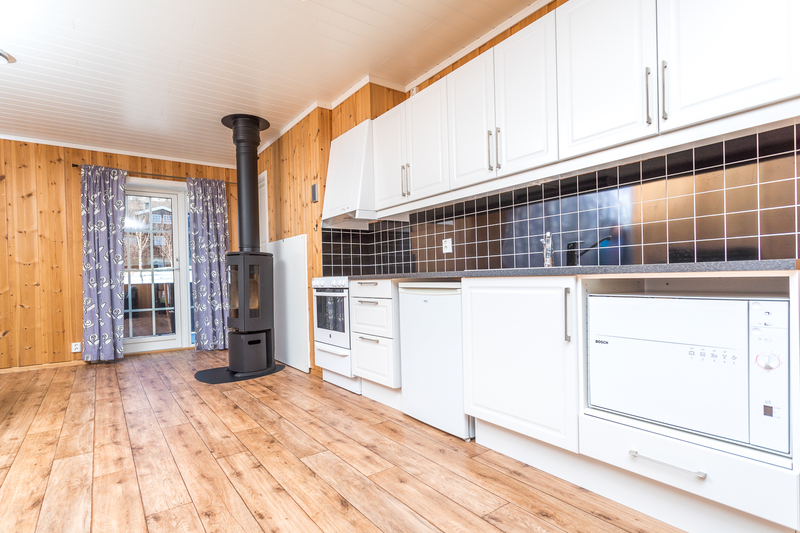 Living room with kitchen and woodstove. 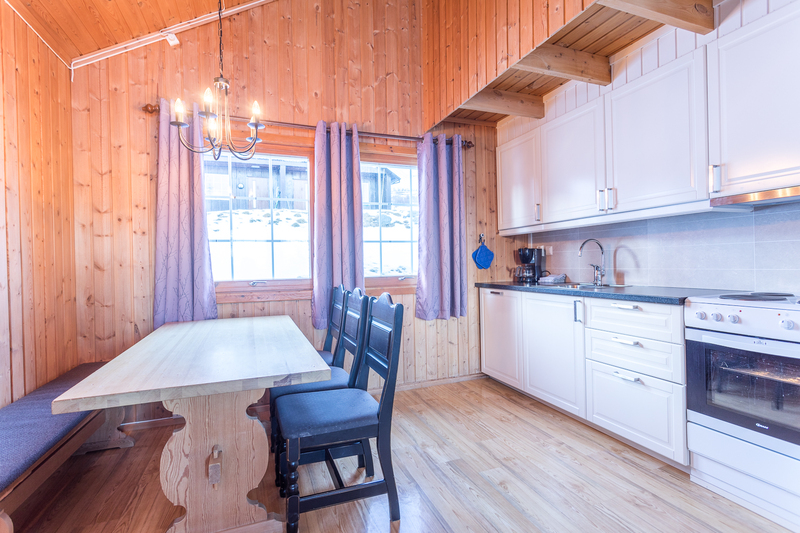 Kitchen comes fully equipped with refrigerator, oven, hot plates, dish washer and coffee maker. 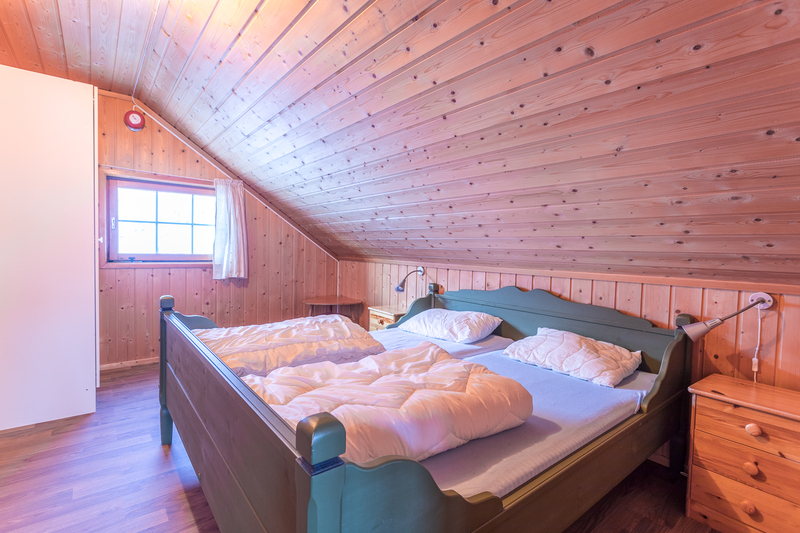 Bunkbed in the living room. TV, bathroom with shower/wc and a porch. Dogs not allowed. Price is 1290,- per night. 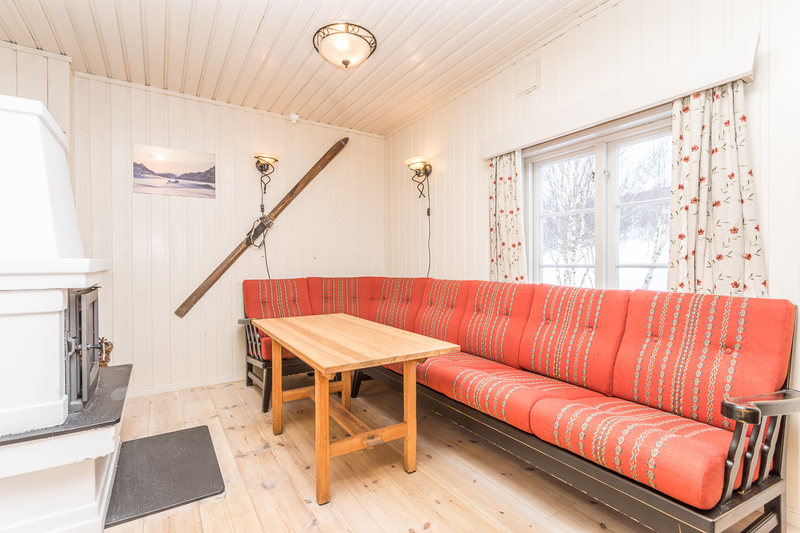 In the Eeaster, from April 17-22, the price is NOK 1390,- per night. 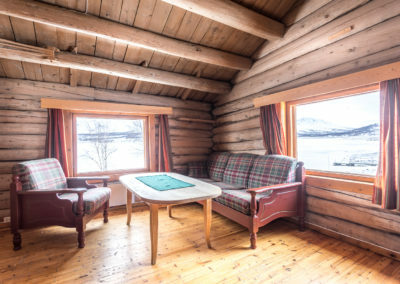 Cabin Bensinbua nr. 23: Apartment at the 1. floor in a house from 2009. Total of 6 beds. 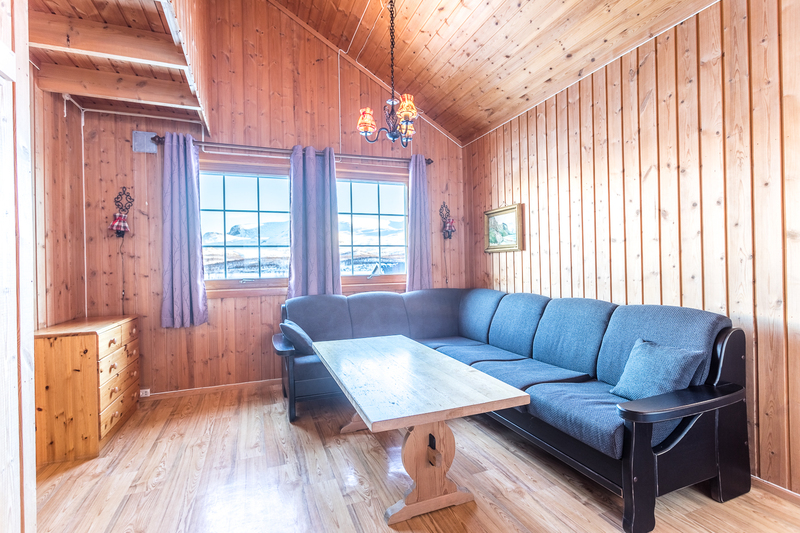 Two bedrooms with double bed. 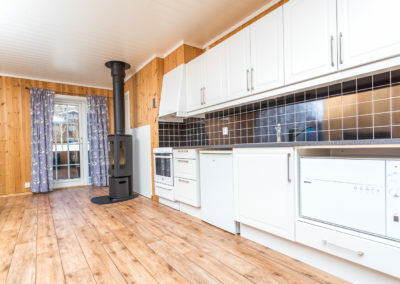 Living room with kitchen and woodstove. 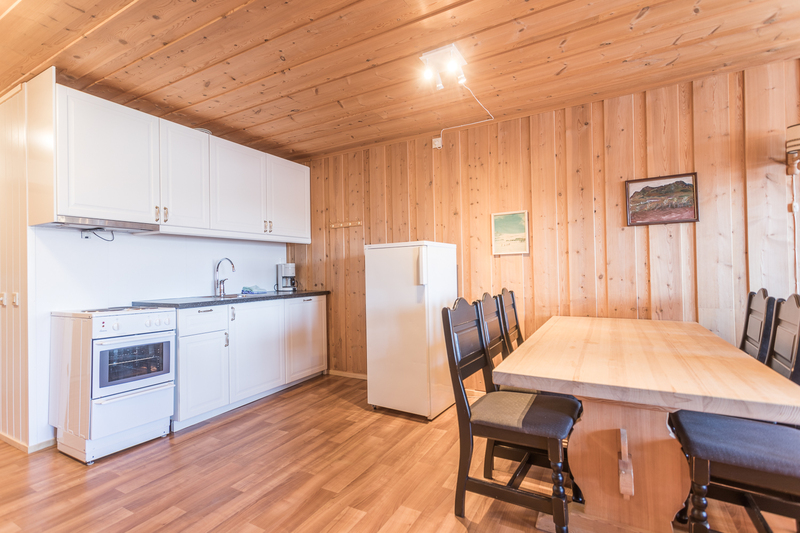 Kitchen comes fully equipped with refrigerator, oven, hot plates, dish washer and coffee maker. One bunkbed in the living room. 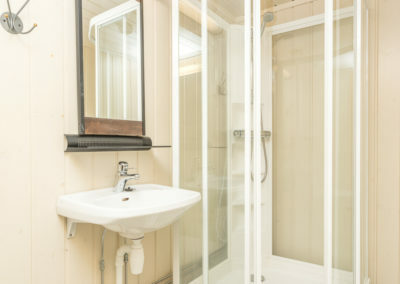 TV, bathroom with shower/wc and a porch. Price is 1550,- per night. 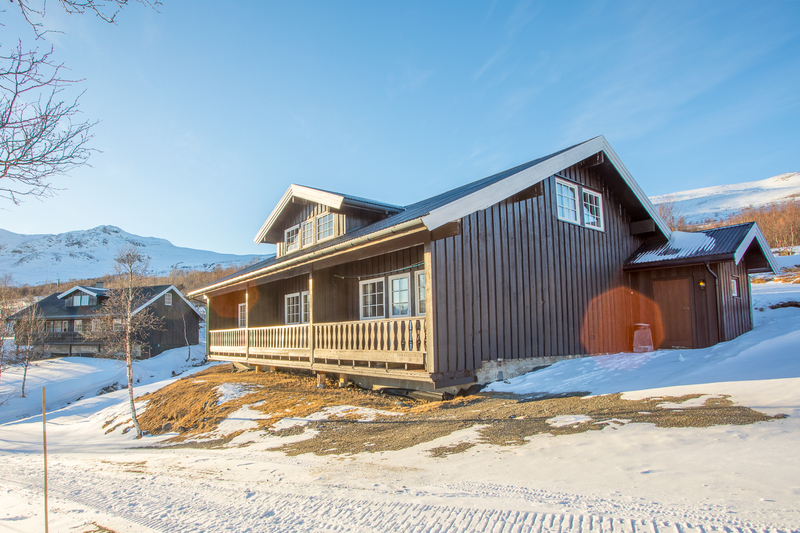 In the Eeaster, from April 17-22, the price is NOK 1650,- per night. Cabin number 27-32: Four beds in two bedrooms at the first floor (2+2). 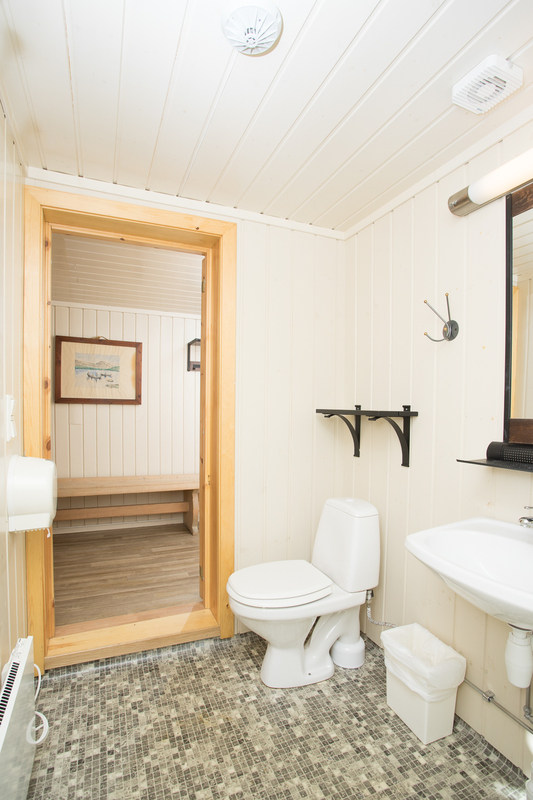 Kitchen, sittingroom and shower and toilet at the ground floor. 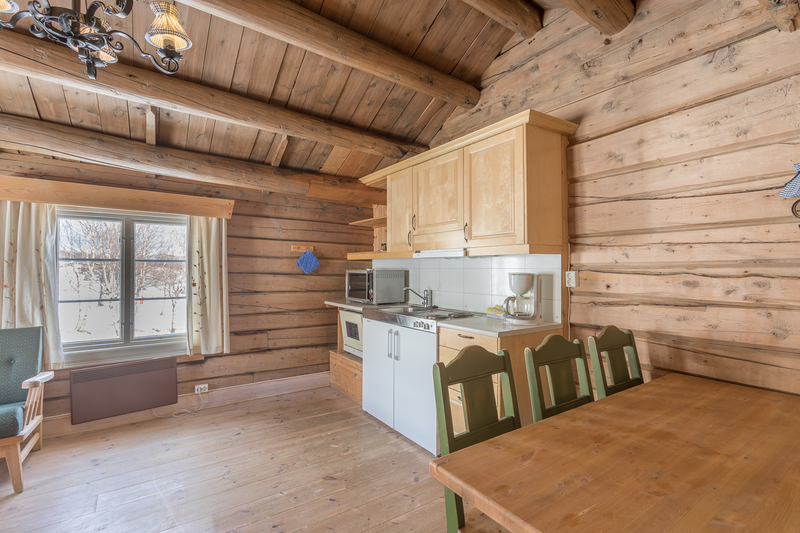 Kitchen comes fully equipped with refrigerator, oven, hot plates. dish washer and a coffee maker. Two apartments per house. Price is 1290,- per night. 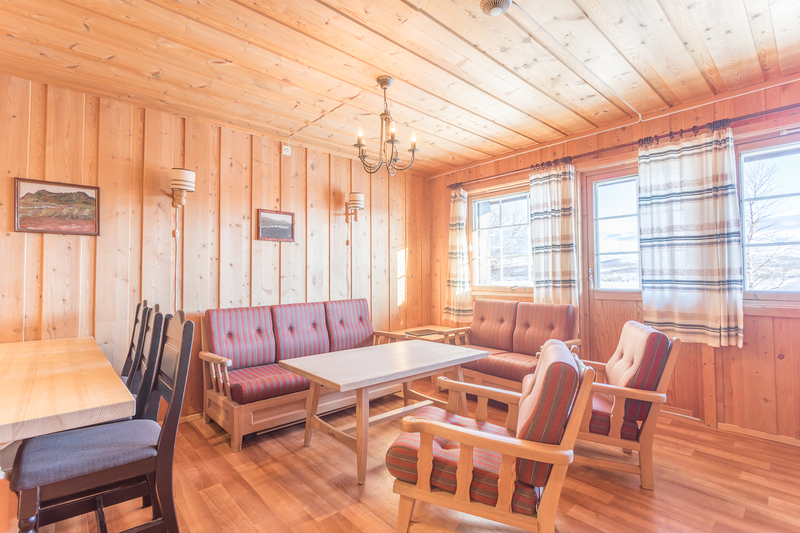 In the Eeaster, from April 17-22, the price is NOK 1390,- per night. Apartment nr: 33, 34, 36: 3 beds in 1 bedroom. 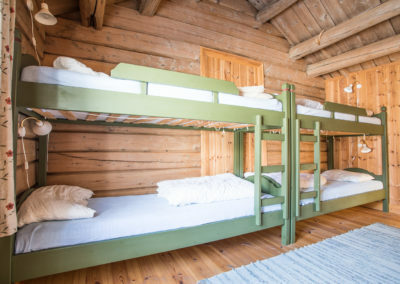 This is a family bunk. 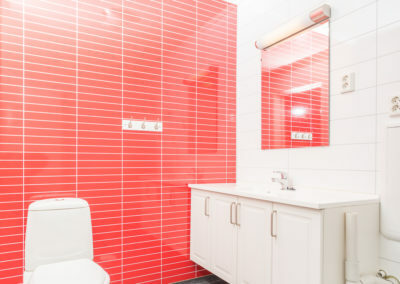 Shower/wc in a relatively large bathroom. Living room and a kitchen. 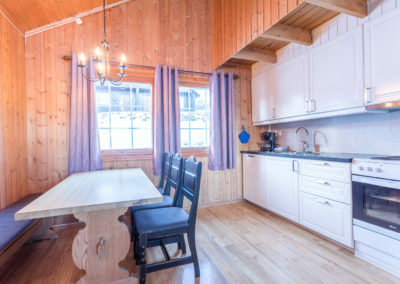 Kitchen comes fully equipped with refrigerator, oven, hot plates. dish washer and a coffee maker. 3 apartments per house. 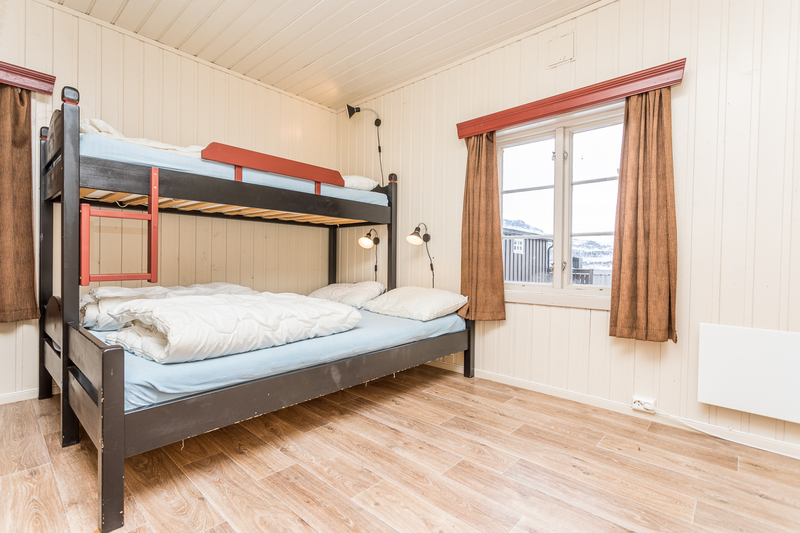 Price is 980,- per night. 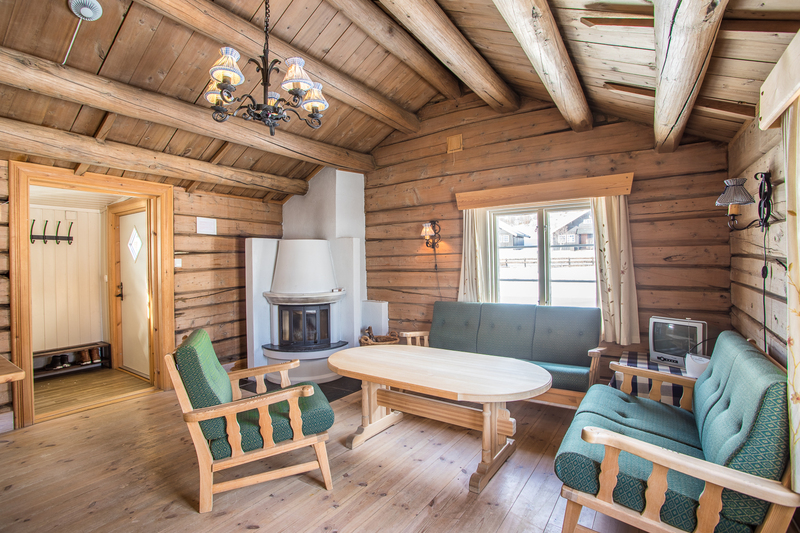 In the Eeaster, from April 17-22, the price is NOK 1100,- per night. Apartment nr 35, 37, 38: 1 bedroom with doublebed, and comes with a fully equipped kitchen with refrigerator, oven, hot plate, dishwasher, and coffee maker. Three apartments per house. 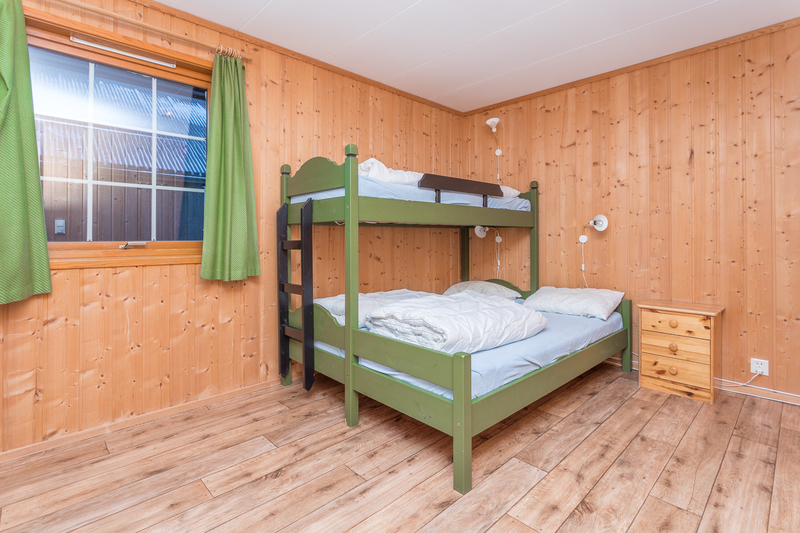 Price is 980,- per night. 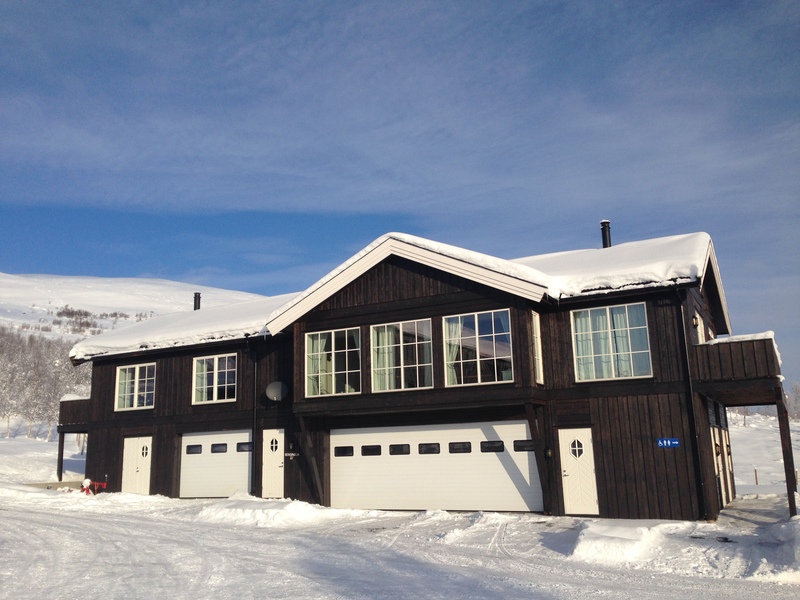 In the Eeaster, from April 17-22, the price is NOK 1100,- per night. Many guests sleep in tents, or a camper when taking the hike over Besseggen, or other hikes in Jotunheimen. 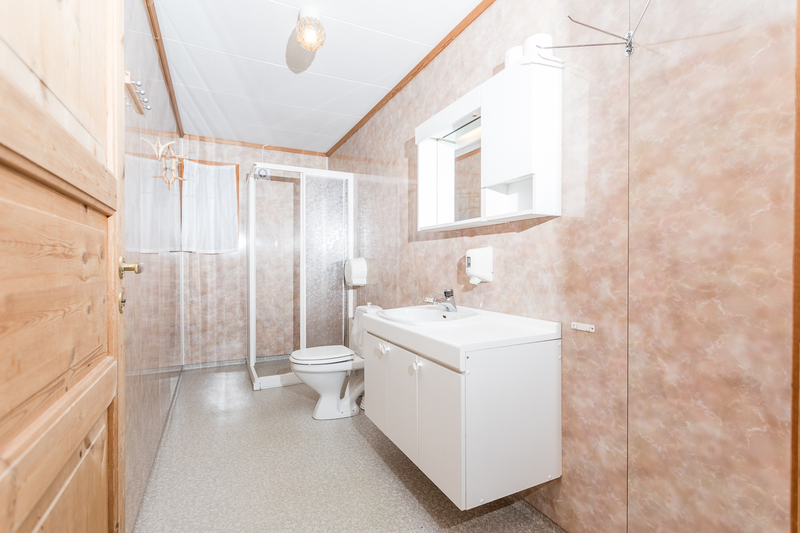 At Bessheim we have a simple camping site with power outlets, shower- and toilet facilities. 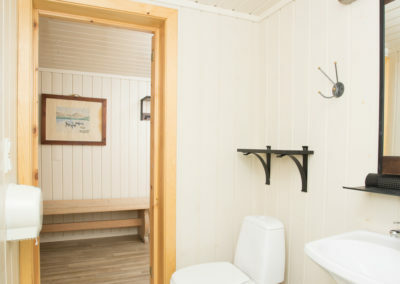 The toilet facilities were renovated in 2016. The camping site is located by the lake Upper Sjodalsvatn.